Petition is one of the first food ventures at Cathedral Square, with its home at the State Buildings. 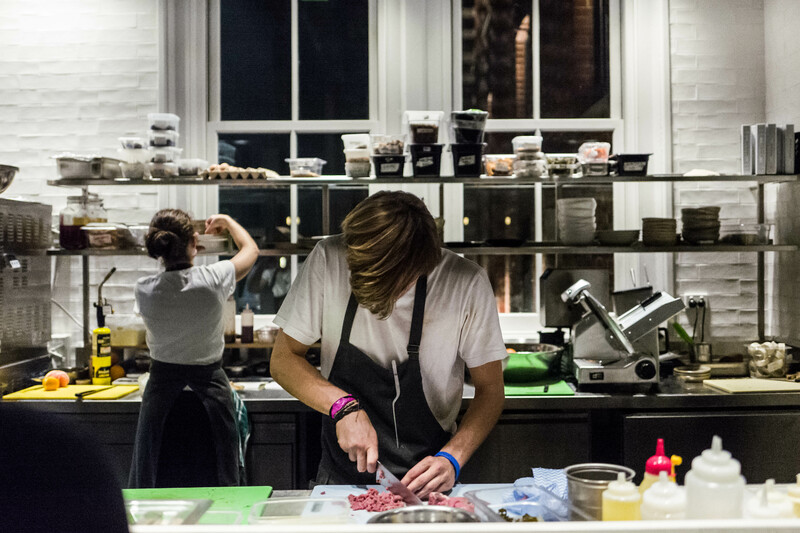 There’s three spaces; the beer corner, the wine bar and merchant and the bistro, Petition kitchen. Elwyn and I have heard so much about Petition kitchen and was excited to give it a try on a Friday evening. When we arrived, the restaurant was not too busy as we were there early in the evening hoping to catch some natural lighting before it gets dark. It’s a lovely set up and I adore the atmosphere and ambience of Petition. 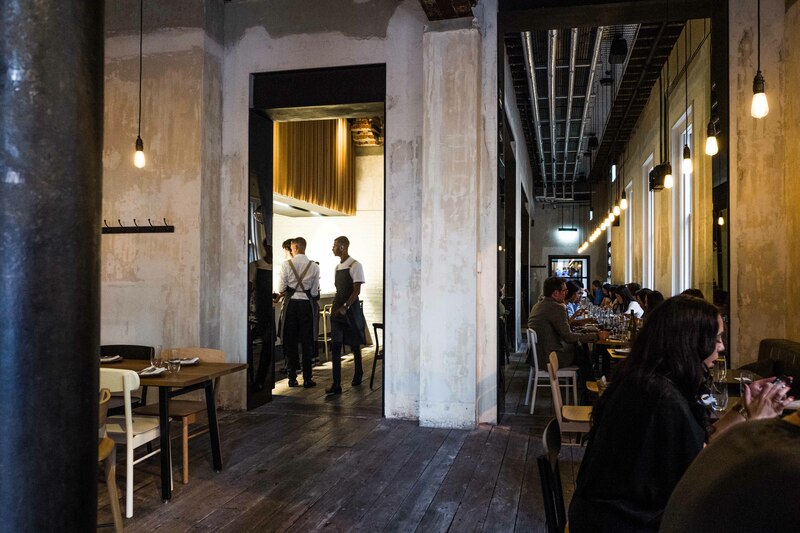 It’s light and airy and the interior, simple and modernistic with an open kitchen to watch the live action. To start off, we had the roasted mushrooms, beancurd, warrigal greens and brazil nut ($22). 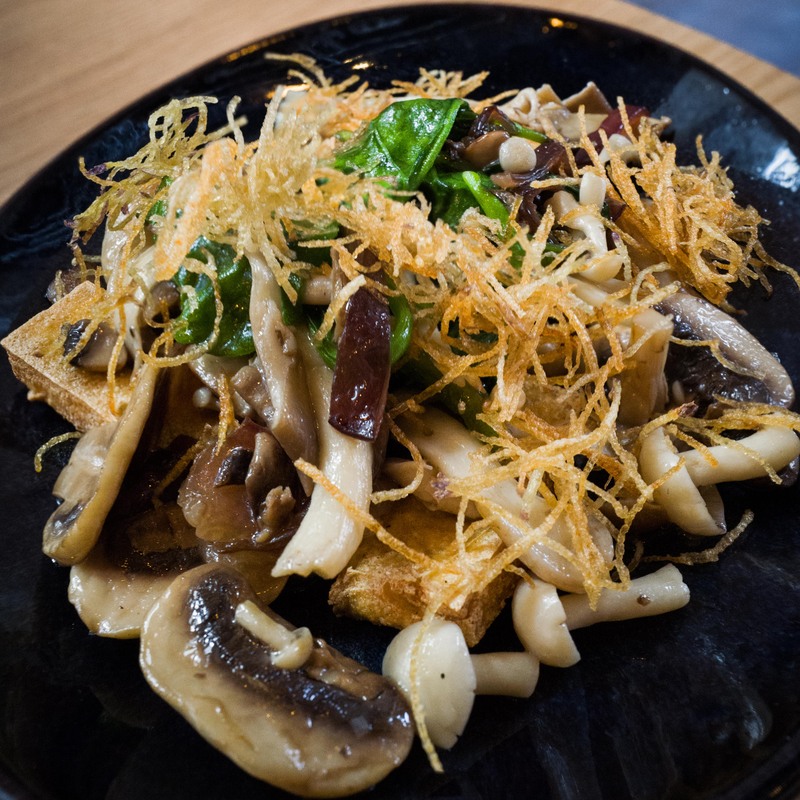 It was a dish pack full of flavour from the crisp textures of the fine strands of potato to the earthy flavours of the mushrooms complementing well with a crunch from the brazil nuts and beancurds. 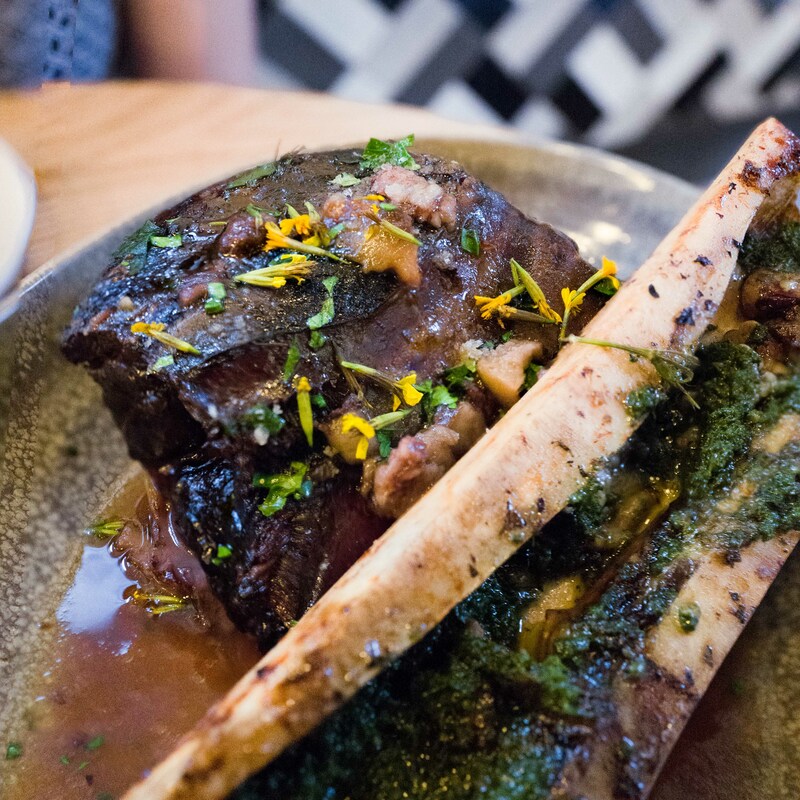 We shared the Margaret River beef shin with tarragon sauce and lemon ($65) which comes with a refreshing serve of radish salad on the side. 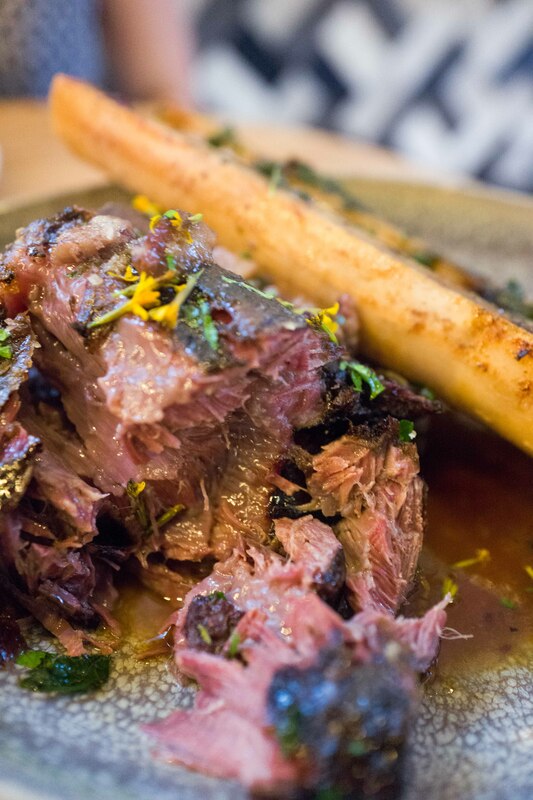 Our first impressions of the beef shin dish – “Damn, that’s a big bone!”. The radish complimented the beef shin well as this combination of radish and beef in the mouth created a good mixture of texture and flavors. The first thing that was noticed was the tenderness of the beef mixed with the crunch of the radish. 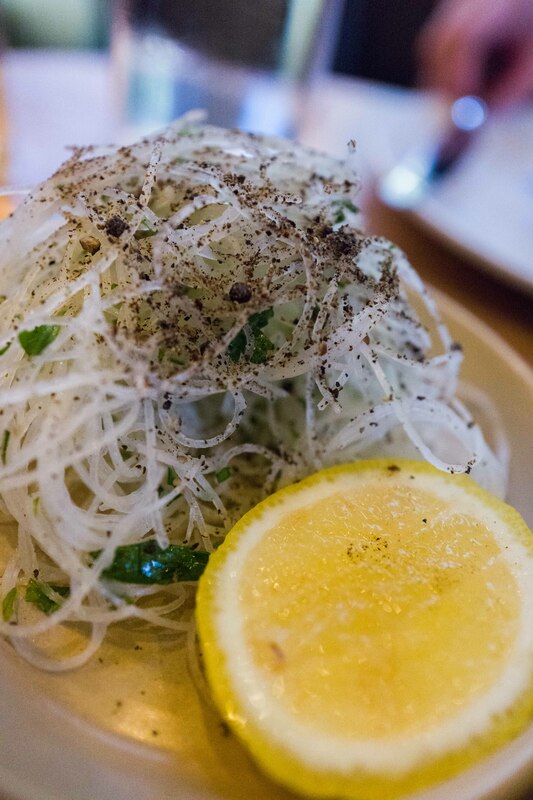 Soon after, the flavors of the lemon and tarragon cuts in and what was left was a soothing, fresh herb texture. It was the dish of the night. Hearty and yet deliciously good. We managed to demolish the beef shin dish and still have room for dessert. 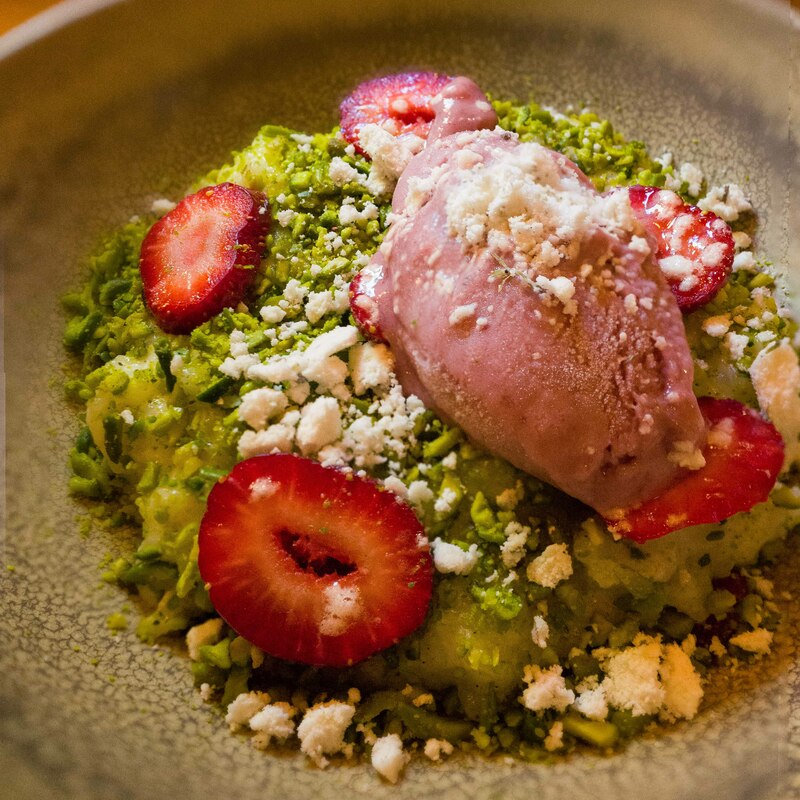 We shared the lemon leaf rice pudding, with strawberry, pistachio and lavender ($14) as recommended by our waitperson. It’s bright, bursting with colour and shouts summer. I love all things lavender and the lavender ice cream was a standout for me, giving a soothing texture. Elwyn was a big fan of this dessert as there was a combination of different flavours and textures from sweet to creamy. 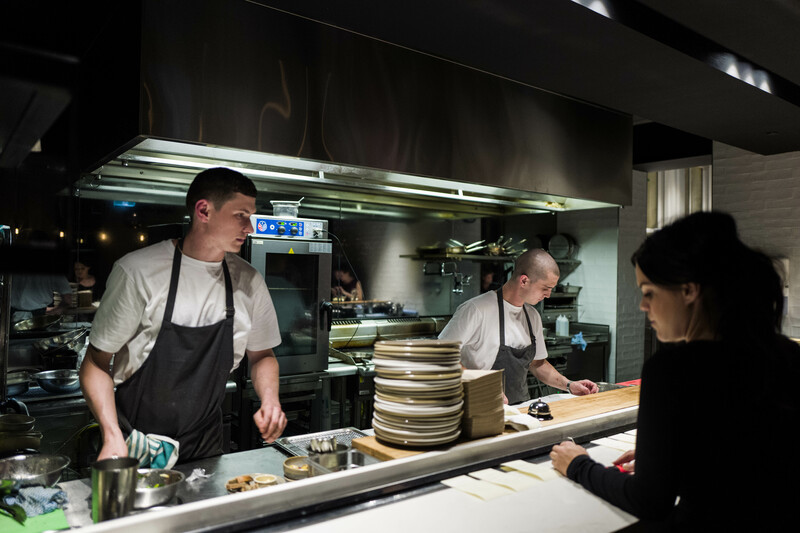 After a great dinner at Petition Kitchen, we decided to have a quick look around. We passed by the beer corner and wine bar which was happening and full of life with office workers celebrating the end of the week with after work drinks. With upcoming restaurants opening soon such as Wildflower, The Post and Long Chim, Cathedral Square is going to be the new place to be and definitely a hub for all foodies. There’s also vendors like the Honeycake, Sugarplum Sweets and Sue Lewis Chocolate. It’s a must visit. Photos by Elwyn Lan Photography. Why are Take me to foodie heaven’s posts so positive? Because we love to share and spread the word about good food. If the experience overall is bad, we will not blog about it because criticism is not our middle name.